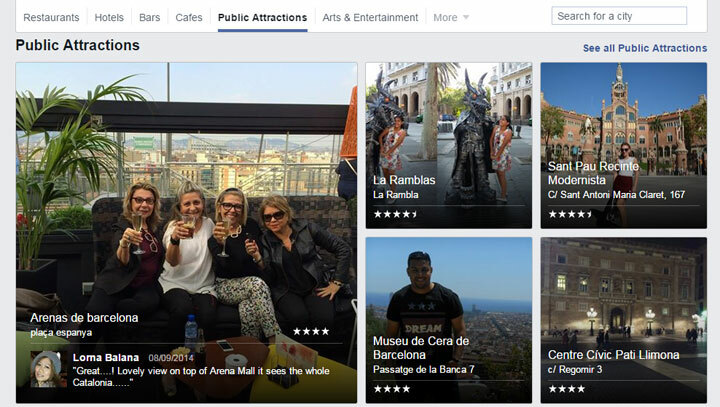 Facebook introduced a new feature called Places Directory that shows you all the attractions, cafes, restaurants, museums, etc. in any city along with ratings and reviews; and if you’re logged in then it will show what your friends are saying about them. You’d say that there are websites called Yelp and TripAdvisor that already do this, but the difference is personal recommendations from family and friends relying on people you trust to make your decision. Places Directory works like these websites – you choose a city and browse popular restaurants, bars, hotels, and more, or you can search for less popular ones. Each location has a quick link to the place’s Facebook page and user ratings. Most travelers will not look at Facebook’s Places Directory for recommendations instead of Yelp or TripAdvisor, unless you’re on Facebook and want to know what your friends think about a place.